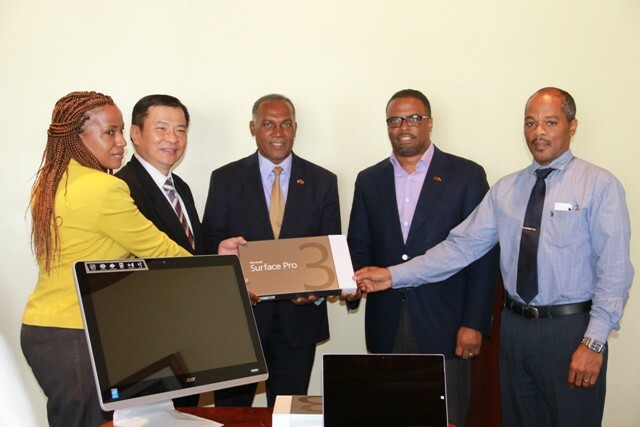 NIA CHARLESTOWN, NEVIS (July 26, 2016) — The Republic of China (Taiwan)’s Resident Ambassador to St. Kitts and Nevis His Excellency George Gow Wei Chiou, handed over his country’s most recent gift in cash and kind of $300,000 to the Nevis Island Administration (NIA). 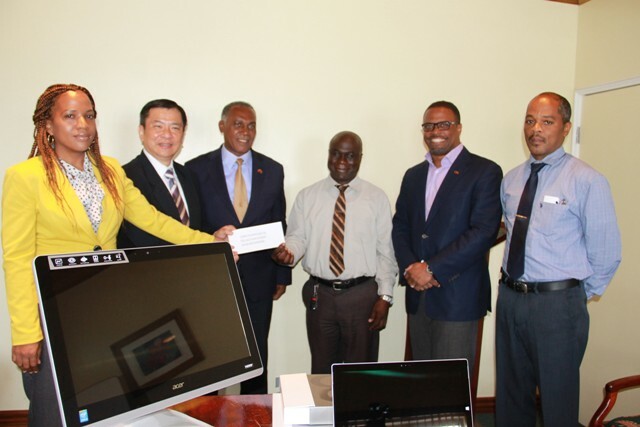 The presentation of 25 desk top computers, three tablets, a printer and a cheque of almost $200,000 for the provision of transportation to the Nevis Solid Waste Management Authority and the Port Health Unit in the Ministry of Health, to Premier of Nevis Hon. Vance Amory and Deputy Premier and Minister of Health Hon. Mark Brantley, took place at the Alexandra Hospital’s conference room on July 25, 2016. In brief remarks, the ambassador said the gift is a token of support to the cooperation between his country and Nevis and St. Kitts and Nevis. 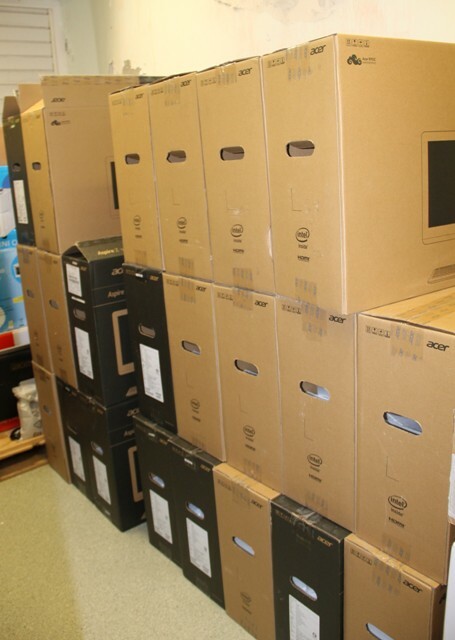 According to the ambassador, the computers will be used for technology development at the Alexandra Hospital, in an e-Hospital project that would transform the delivery of health care there. The ambassador noted that the project would eliminate paper work which would be replaced with a barcode hospital card. It would provide medical professionals with the up-to-date electronic medical record of patients who visit the hospital. He said the collaborative venture would place the Alexandra Hospital among the first few hospitals in the region, dedicated to merging technology and public health in line with the Organisation of Eastern Caribbean States’ (OECS) standards and policies. Ambassador Chiou also expressed hope that the project will would be linked to the main hospital in St. Kitts. “With this system, we hope the Alexandra Hospital will merge with the development of the hospital in St. Kitts and both islands will have the same efficient systems while the patients enjoy the same service,” he said. The Ambassador was accompanied by Consular at the Embassy of the Republic of China (Taiwan) based in Basseterre Davis Y. T. Yu and JoAnna Huang, Project Manager of the Caribbean Regional ICT Project in St. Kitts and Nevis.